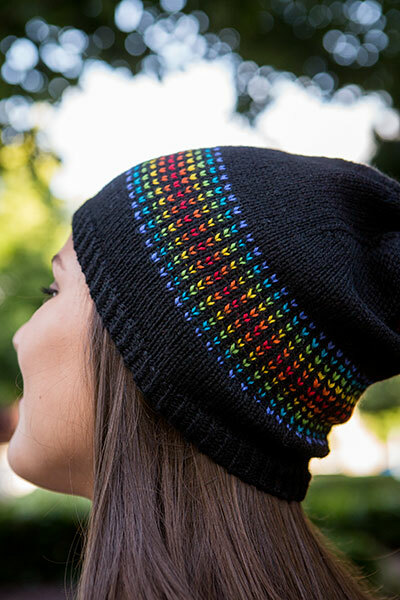 Go stash diving and make a mini colorwork fade! 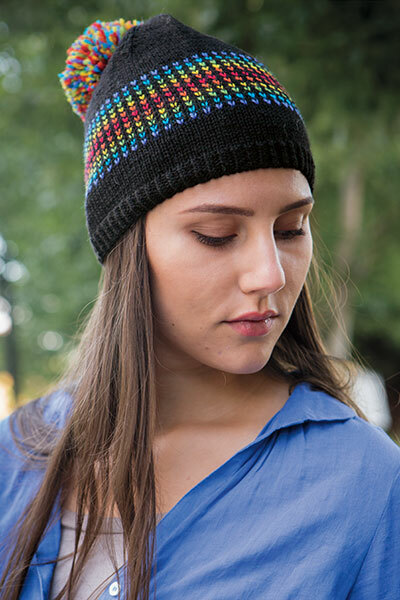 This simple hat is a great way to use up small scraps of yarn and have fun with color. 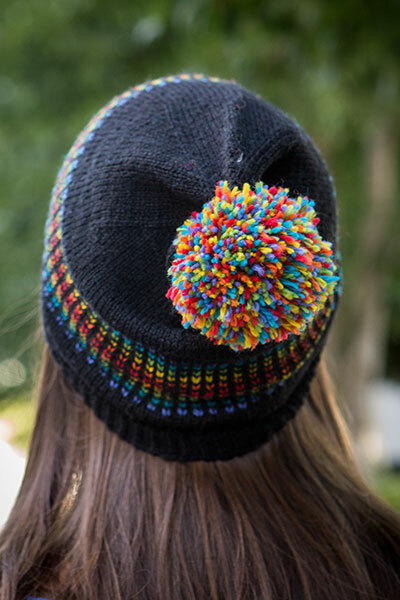 Plus, who doesn’t love a multicolor pompom? The hat is worked bottom up in the round starting with a brim of twisted ribbing. Stranded colorwork creates stripes of dots. The whole thing is topped off with a colorful pompom. Pattern is both written and charted.